The question of “How does Canada Revenue decide on whom to do a CRA audit” has been asked many times. What are the key items which CRA can look for? While we can never predict who will become the next target for a trust exam or CRA audit, a professional bookkeeper should know the general rules how to AVOID them. Even if you are a one-man operation, doing regular monthly payroll can assure CRA that you are doing the right things to declare your own salary. It is important to understand that the minute you take money out of your company, you need to know how you will declare it to CRA. This means that you have not done the proper filings with the CRA. Something is behind. It might be your books, your GST or your payroll but something is not being done properly and it captures their attention. If you owe CRA trust monies (ie. Payroll & GST), they tend to frown on this behavior, and may look harder and closer at your company. If you are a consultant and you have $12000 in “meals with clients”, you may be overstating. If you have no payroll, and yet you are claiming 3 company vehicles, you may be overstating. In any case, your receipts should be in line and be consistent with the job that you do. They need to “pass the sniff test”. Being late on your bookkeeping. If you are on time with your books, then the top 4 just melt away. A good qualified bookkeeper will navigate you through all 4 of the above issues. The best rule of thumb is to make sure you are are fully compliant with CRA’s rules and expectations. There are no guarantees but by not raising any flags you’ll stand a much better chance on avoiding that dreaded CRA Audit. 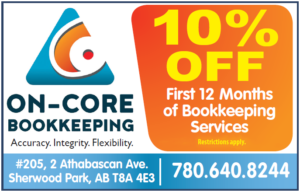 Using a professional bookkeeper will ensure that you are doing it right! My particular favorite site on audits, by the way, is this one. Full of great information!